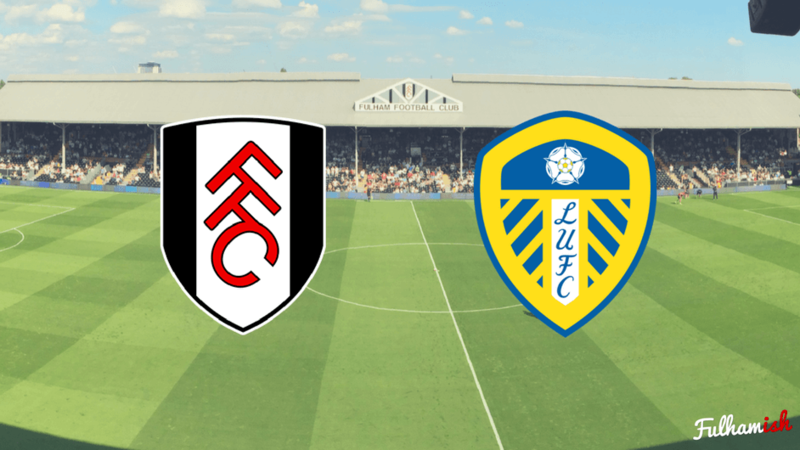 Fulham round off the Easter fixtures with Leeds United visiting Craven Cottage. The last 5 meetings have ended in draws, George Singer is here to see if Tuesday’s clash will be any different. Hello and welcome to another edition of Before the Whistle! After the long Easter weekend we face a Leeds team who, after an impressive start to the season, have really struggled for form in 2018. Will United cause an upset, or can this record-breaking Fulham side gain another 3 points to strengthen our march to the promised land? All the way back in August, the Whites travelled North to face a Leeds side with lofty ambitions. The match delivered exactly what was promised: a close game between two promotion favourites. The game finished goalless, which at the time felt like a well earned point for the Whites. With Tom Cairney suffering from his early season knee injury, Ibrahima Cisse came into the starting XI for a rare appearance. The Belgian impressed, playing in a defensive midfield pivot with Kevin McDonald, and in fact came the closest to scoring – his shot from outside the box hitting the post. Both sides pushed hard throughout the game, with chances a plenty for both sets of strikers. Sone Aluko probably had the best opportunity for Fulham, being 1 on 1 with the keeper, however his tame shot was easily saved. Between the other sticks, David Button had a strong game – and earned the team an impressive clean sheet. Since taking over Leeds in early February, Paul Heckingbottom has tended to prefer a 4-2-3-1 formation. However after a disastrous run of 6 points in 8 games, killing any faint hopes of a play-off finish, a switch up was clearly needed. Leeds therefore swapped to a 4-4-2 system in their most recent game, and earned a precious 2-1 win against Bolton Wanderers. The man who moved into the second striker position, Caleb Ekuban, grabbed the opener, so it’s not unlikely that they will stick with the new system. The Leeds squad are full of physical players, full of strength and speed, and they base their gameplan around this. They use a strong and high defensive press, and aren’t afraid to put challenges in. They top the league in tackles made – so will surely look to put our midfield 3 under as much pressure as possible. In recent matches they’ve also put a lot of pressure on goalkeepers – so as Slavisa likes to use Bettinelli as an option in possession he will need to be extra quick on his feet. In attack, they’re a team who like to attack in a direct fashion. With a quick and tall strikeforce, they move the ball rapidly forward from midfield, often resulting in crosses generated from the right hand side of the pitch. A common Leeds tactic is the diagonal cross field ball forward to a winger to run onto, who then crosses in for their strikers to finish. They’ve used multiple times this season to great effect (see below gif for an example). My man to watch this week is Leeds top scorer: Pierre-Michel Lasogga. The giant German proved to be an astute loan signing from Hamburg in the summer, and has caused havoc in opposition defences all season for United. Aggressive and strong, he’s a danger in the box: and is equally capable finishing with his head or his feet. As Leeds favour quick balls forward, and like to cross the ball into the box, Lasogga is the perfect kind of player to get on the end of these kind of chances. After Tom Cairney’s last minute heroics in the match last season, surely the pivotal moment of the season, this is a game that Fulham fans will be particularly looking forward to. However, equally, Leeds will be looking to get revenge. Leeds are a physical team, and specialise in disrupting opposition play. In particular they will look to pressure us hard, and expect them to go in hard on their old man Tom Cairney. On the other hand, they are in mid-table limbo, with play-offs out the window and being comfortably far enough from relegation. Therefore, if we’re able to get ahead early and dominate the game, Leeds heads will inevitably drop as they will hopefully have less motivation. We will particularly need to watch out for wide play, and pressure their wingers as they aim to put balls into the box. I mentioned in a previous article how Lucas Piazon perhaps cuts inside too much, and leaves his right back exposed. If he plays, and Leeds are switched on tactically, this is exactly the kind of game where they can punish this. I’d like to see Neeskens come into the team, to use his high work rate to hassle the opposition wingers before they can cross it in. As Cardiff embark on a short run against some of the tougher teams in the league, this is surely our last chance to push for second, and nothing but a win will do to keep this hope alive.